Searching for the most professional Saskatchewan Mortgage Brokers in the area? Well it just so happens you've come to the right place. Focus Mortgage Solutions is a world-class mortgage brokerage firm that provides clients with the very best in mortgage brokerage services in Saskatchewan. FOCUS Mortgage Brokerage Firm finds creative solutions when handling your mortgage transactions. It has been our experience that our clients stick with us for future brokerage dealings because we make a rather taxing business transaction run smoothly. 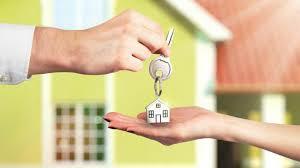 We have committed ourselves to delivering clients premium Saskatchewan Mortgage Broker services that they deserve. Our services are affordable, private, ethical and always professional. Focus Mortgage Solutions is Saskatchewan's best Mortgage Brokerage Firm in the province. Just ask our clients, they will vouch for our stellar reputation and unwavering dedication to finding creative mortgage solutions to suit just about any situation. We are known for having a good sense of humor and being easy to work with as well. Let's be honest, how disheartening is it to finally have enough saved up to put a down payment on your dream home, and then the wind is quickly taken out of your sails when you see the inflated insurance rates you're facing? Well our exceptionally savvy Saskatchewan Mortgage Broker Professionals are hip to your mortgage goals. Focus Mortgage Solutions is prepared to overcome, with you, the many hurdles that are encountered while attempting to get a fair loan and interest rate. Here in the Great White North, there are 3 different Mortgage Insurance Providers. Which are CMHC, Genworth Financial and Canada Guaranty. Oddly their services are nearly identical with a few wavering differences in plans, but they all do the same thing... They protect YOUR lender's money. The question we always get asked is 'Do I need it? ', 'How do I pay for it?' and 'Is it negotiable?' Well here is the breakdown. Do you need it? - If you have a down payment of less than 20%...then you need it. If you have a down payment of 20% or larger...you may not need it...even if you have 25% to put down...you still may need it. How do I pay for it? - Good News - the lender adds the insurance cost to your mortgage and they pay it directly to the Mortgage Insurer. Is it negotiable? - No. Mortgage Insurance is non-negotiable. It is set up on a sliding scale based on the size of your down payment and/or the product you require. To learn more about Mortgage Insurance, we welcome and encourage you to visit CMHC by clicking HERE! Let's throw out some hypothetical scenarios for the sake of explanation. Let's say you buy a house for $100,000.00 and you have $5,000.00 for a down payment. That would put you in the 3.15% Mortgage Insurance Premium box. The LTV (Loan to Value) falls in the Up to and including 95% category...that means you are borrowing 95% of the amount needed to buy your house. The other figures you see apply to refinances...typically refinances are restricted to a maximum of 80% LTV...so the premium there, if the lender chooses to insure - would again be 3.15%. In most cases this premium is absorbed by the lender. In other cases it is not. These figures are different if you are self employed. For more information on that stuff...click over to our Self Employed Section. Fun fact #1 - Energy Efficient Homes snag you savings. You can get up to 10% of your Mortgage Insurance Premium back in your pocket if your home qualifies!! Fun fact #2 - Our Mortgage Calculator already takes in to account your potential Mortgage Insurance Premium! Hurry - go check it out. We're pretty proud of it! Basically what we do for you is we "state" a reasonable annual income for your particular industry. Take for example an Owner/Operator Truck Driver. This individual accumulates a ton of expenses. Everything from Fuel to Food. At the end of the day, this person's income could go from $125,000.00/year in earnings down to $41,000.00 after expenses. And that $41,000.00 is what ends up being declared on Line 150 for Income Tax. This person's true income is $125,000.00/year and it's reasonable so we can "state" this income...or something close to it. We might only need to state $80,000.00. 1. A Credit Score of NO LESS than 650 on Equifax. 3. Industry experience of NO LESS than 2 Years. So if you own your own welding company...we want to see you have 2 years of self employment in this industry or at minimum 6 months Self Employed History with the 2 years of industry experience from your previous employer. It's not a "cut and dried" product - and lenders love to request a lot of documentation. Be prepared to provide 2 Years of Most Recent Income Tax, including the T1 General and the Notice of Assessment (NOA) and proof of No Income Tax Owing. If you do owe Income Tax...it MUST be paid in full prior to receiving your new mortgage. The extra good news is that you can still enjoy the low interest rates as everyone else! We don't penalize you with a higher rate. Creating rapport with our clients is very important to us at Focus Mortgage Solutions. We still wholeheartedly believe in the integrity of a hand shake, instead of replacing that with a generic mailer. We have grown our business because of our dedication to exceptional customer relationships and top-notch Saskatchewan Mortgage Broker services. Contact one of our highly knowledgeable staff members to go through a list of pros and cons, have a laugh and get busy finding solutions the FOCUS way. We lift the lending roadblocks and pave the way to the future you actually dreamed of and deserve. CLICK HERE TO VISIT OUR WEBSITE. Go Green and White!